On World Prematurity Awareness Day, ICU baby delivered 33 Preemie Packs to the NICU at Jackson Memorial’s Holtz Children’s Hospital. 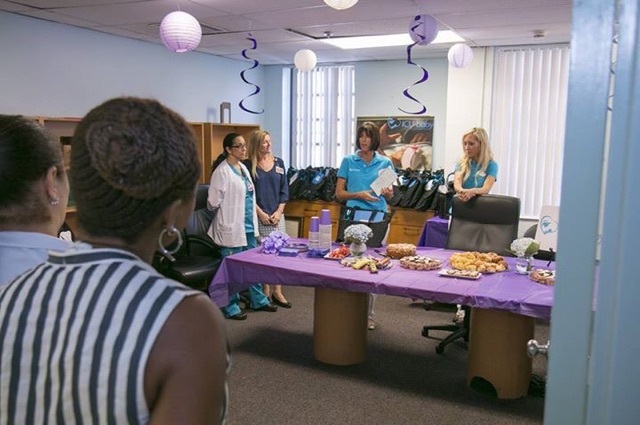 Mothers and Fathers with babies currently in the NICU joined members of the organization to recognize the day and the 1 in 10 babies who are born prematurely in Florida and nationwide. ICU baby gives Preemie Packs to all families with babies born under 32 weeks gestational age. These Packs contain items that facilitate families’ NICU visits with their baby. ICU baby will visit the NICU every week and present Preemie Packs to the families of newly born preemies. ICU baby had supported Holtz Children’s NICU with various donations since Spring 2016, but ICU baby is proud to have the Preemie Pack program as it’s first ongoing project in this NICU.